Unfortunately or maybe not, I have moved to Saint-Petersburg again. It is the first sketch I did by arrival to my apartment. I have been watching this building every day for almost three years when I first came to Saint-Petersburg. 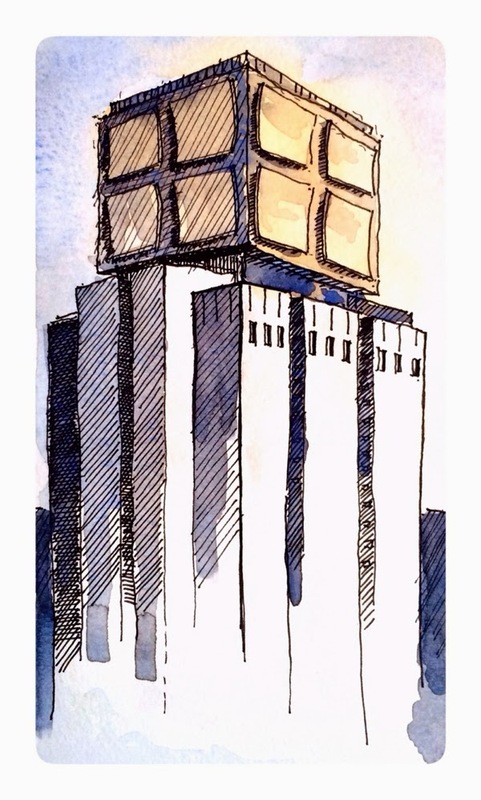 It has about 20 floors without windows and nice golden cube on top. This concrete structure is RUSSIAN STATE ARCHIVE of THE NEVY.